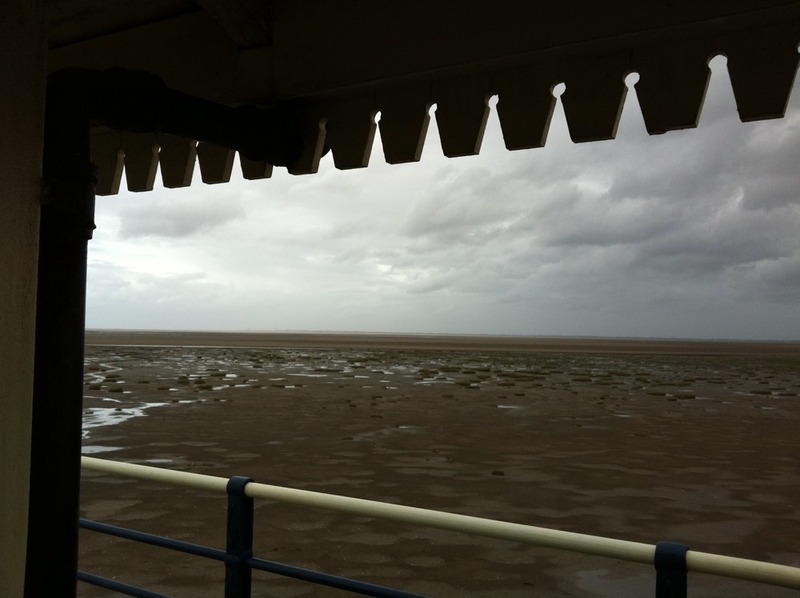 Southport, our last English pier. And like that Ford Maddox Brown painting we’re huddled in flimsy shelter against the wind. We to are about to leave our homeland, although luckily just for one night. We can’t check into Pontins till 4pm so Danny is spending the time looking for a laundrette, fresh pants having long since run out. Across the water, I assume as there’s none in plain sight, I can see the Blackpool Tower. The Blackpool funk lifted on this morning as we drove through the Pontins gates, Brett Anderson’s trip anthem kicking in on the radio at exactly the right moment. This is the third act, the validation. You have to go back to the beginning to get the strength to carry on.